“When tempted, no one should say, ‘God is tempting me.’ For God cannot be tempted by evil, nor does he tempt anyone; but each one is tempted when, by his own evil desire, he is dragged away and enticed. Then, after desire has conceived, it gives birth to sin; and sin, when it is full-grown, gives birth to death” (James 1:13-15). Temptations are evil suggestions to a believer’s heart and mind to rebel against God’s will. While God indeed allows, and sometimes even may send, hardships upon his children, his purpose in that is always good: to test out their faith as genuine and to draw them closer to him, away from this sick and dying planet. God never, ever, wants his children to choose evil. Our temptation problem is not from God but really comes from within. Cooking away in each person’s heart is a sinful self that will never be converted. It restlessly seeks to dominate our thinking and values. It will never submit to God. James reminds us of these things so that we will not be fooled into thinking that the growth of ourChristianself will mean that ourevilself will just automatically wither away and disappear. We need, honestly and humbly, to recognize the enemy within our own hearts, an enemy that can and will conceive and give birth to evil thoughts, evil words, and evil deeds. We will humbly accept James’ warning, daily repent of our sins, and trust Jesus’ forgiveness. An unrepentant attitude causes spiritual death. You know that, right? Get the true story—God’s story—about yourself! 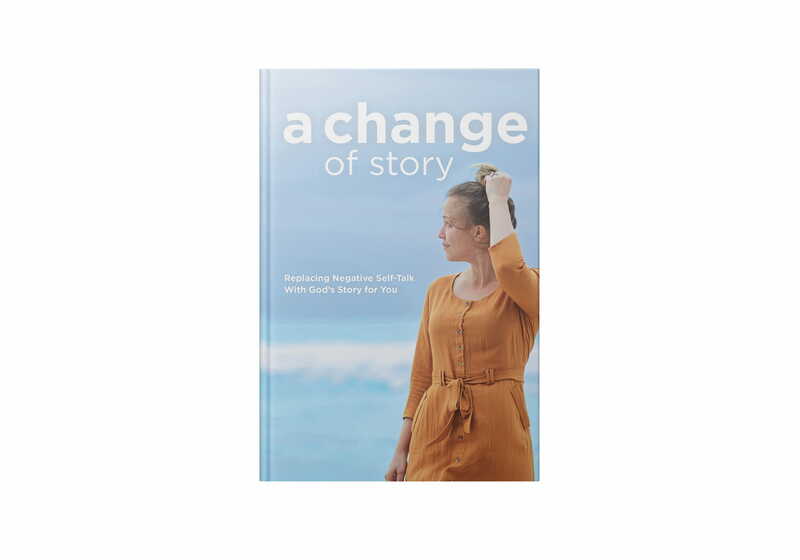 A Change of Story will help you listen to the story that really matters, so you can live in God’s story of light, love, and grace through Jesus. You’ll learn how to conquer those negative thoughts and embrace the truth that you’re God’s much loved and forgiven child.